Very Designer is a new kind of jewelry site for both women who love to buy jewelry and those who love to make jewelry. Or if the customer prefers, they can buy the pieces individually. A newly launched jewelry site, Very Designer, offers jewelry lovers a new kind of shopping experience. This revolutionary site gives women an option to choose if they want to make their own jewelry or have it made for them. 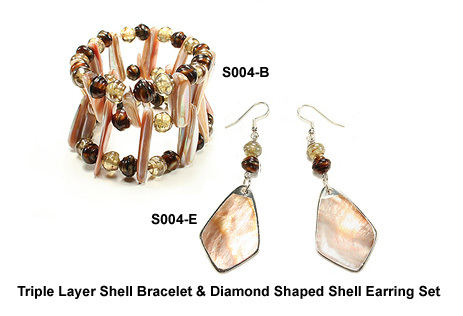 For women who don’t have the time or inclination to craft their own jewelry, Very Designer’s bead kits can be purchased already made for them. And for those who find satisfaction in making their own creations, Very Designer pre-packages all the pieces in neat bead kits. Very Designer also produces a newsletter. The site’s newsletter service makes it easier to track what’s hot and what’s not in the world of jewelry. The free newsletter is generated weekly, informing shoppers of the new style for the week. If customers make a purchase of any product belonging to the style of the week, they will receive a 10% discount off their purchase. Very Designer also offers a Learn to Bead section that can teach anyone with a desire to start beading all the basic techniques. Video tutorials are even included. All of Very Designer’s products are independently designed and made, which is an integral part of their business objective. Completed pieces are made in the USA and not mass manufactured. Shoppers enjoy free shipping on any order over $100 and a hassle-free return policy guarantee. For more information, please visit http://www.verydesigner.com.